Todd Probert, vice president of mission support and modernization at Raytheon, has said the firm has teamed up with a “dozen or so” companies across Silicon Valley to identify technology offerings that could be adapted for use by military clients and other customers, Aviation Today reported Thursday. “We’re making a big bet that we have to change the way we go to market,” he noted. Raytheon’s move comes as industry and government stakeholders explore ways to modify the structures of military contracts in order to keep up with technological innovation and meet Defense Secretary James Mattis’ “speed of relevance” objective. 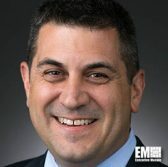 The report said Raytheon has made its contracts focus more on open architecture and be less restrictive in response to the changing paradigm driven by the speed of relevance.